I come home from running (on a good day) or stumble out of bed (on an even better day), grab my book and a big glass of water, and crawl onto My Spot. (I do vacuum frequently, though I won’t make any promises about my carpet’s cleanliness. But this is pre-shower, so who cares?) 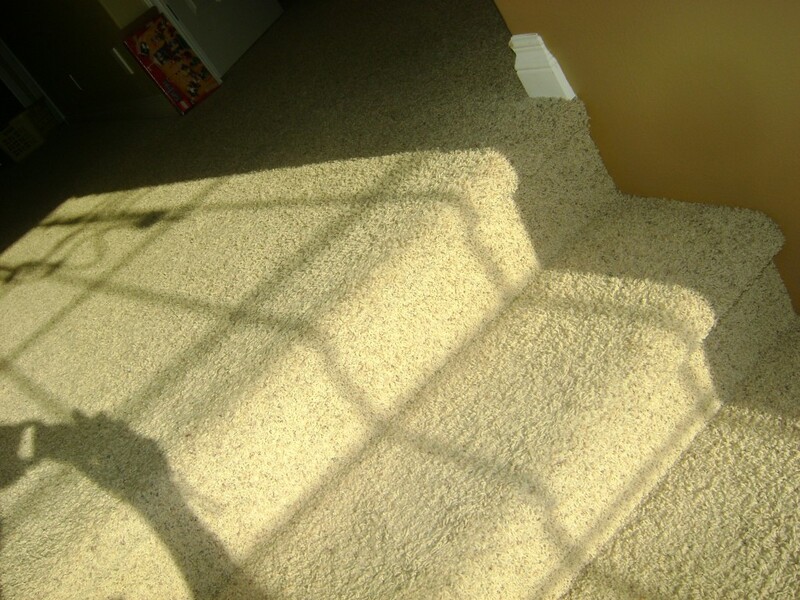 I sit on the last stair so that I can rest my back against it, like a chair, and face the warm sun. I stretch my back, arching and yawning, and think something I’ve thought many times before: cats really do have it figured out. I would purr if I could. I flip my scriptures open and try to concentrate, and sometimes I learn a lot about Paul and the Grecians and Ceasar and persecution, and I feel proud that my sluggish mind has wrapped itself around something so important. 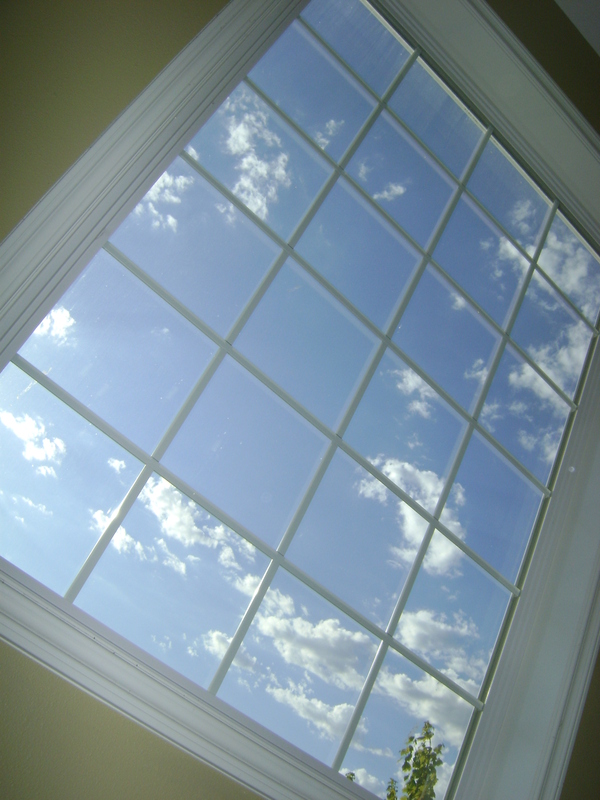 But other times–much of the time–my mind drifts out that big window to the clear sky beyond and I start thinking about the day ahead. On a good day, I think about what I want to accomplish and how I will accomplish it. On a bad day, I think about all of the things I want to accomplish and probably never will. I’m trying to learn that this is okay. One of the necessary disillusions of growing up is understanding that we usually trade ten good dreams for one great one. And not because of laziness or mismanaged time, which is what I used to believe. It’s because every choice we make crowds out bazillion other choices, and there will always be a twinge of regret at the opportunities that we just don’t have a life long enough to seize. Do you know what I mean? I’m sure you do. These are the deep thoughts I have while pretending to be a cat. What deep thoughts do you have during your daily rituals? I know you meditate on life’s transcendent qualities while sorting laundry or drying dishes. And don’t tell me you don’t discover Higher Truths during your three-mile run. What do you wax poetic about when no one is listening but you? As for me, just about the time my reading is done and my muscles are stretched and my back is warmed, a six-year old boy with rumpled white hair comes padding down the hall, eager for a snuggle and some toast. And then I pick him up (I’ll do it as long as he’ll let me) and we head downstairs. And I think about those good dreams fighting with a great one and I think, as I have many times before: it would be nice to be a cat, but I’m glad that I’m a mom. And all this time, I thought he thought I was pretty. Previous Article Holey Boards Revisited. Next Article I’m no textpert, but I think this is poor form. We’ve been gone a week on a family vacation, and I’m just now getting caught up on my favorite blogs (yes, your blog is one of my favs). 😀 That window is gorgeous! What a great spot to read or think. I don’t read or think well early in the morning, but I need to train myself to do so because that is sweet self-time. I usually wax philosophical late at night, or as you said, over dishes. I once stopped mid-suds and grabbed paper to jot down a poem that was forming in my head. Usually I think I’ll remember later, but never do, so I seized the moment. I really, really like what you said about one choice taking the place of many others. A wise stake president once told me that we are given too many things to do on purpose so that we may learn to choose and prioritize. That is a hard lesson for a girl who shops three or four stores before making a purchase, and then wonders if she made the right one? I have learned that when in doubt, I need to look at the eternal perspective. Sometimes that helps me relax and sift through the things that won’t matter as much and get to the meatier things I need to focus on. Good post!